Supported by his brilliant loving mum and surrounded by his friends, Jamie overcomes prejudice, beats the bullies and steps out of the darkness, into the spotlight. Inspired by a true story, Everybody’s Talking About Jamie is the new award-winning five-star hit musical for today. 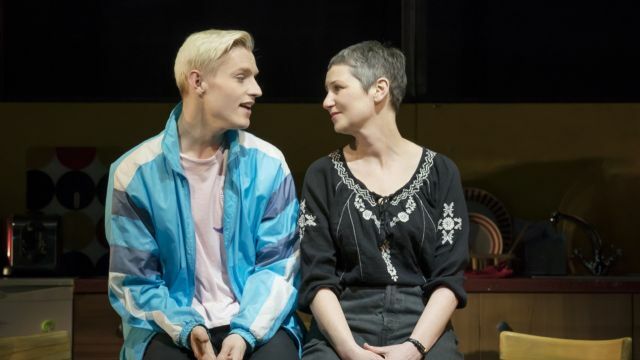 Winner of 3 WhatsOnStage Awards including Best New Musical and nominated for 5 Olivier Awards, Everybody’s Talking About Jamie was filmed live at the Apollo Theatre in London’s Shaftesbury Avenue especially for cinemas. RUNNING TIME: 164 mins inc. interval.